The previous podcast episode was Getting Help Part 1: Health and Nutrition Coaching. Today, we're talking about the next level of help, when your autoimmune condition is more complex and isn't responding to a healing diet. You need to delve deeper. Where do you begin? 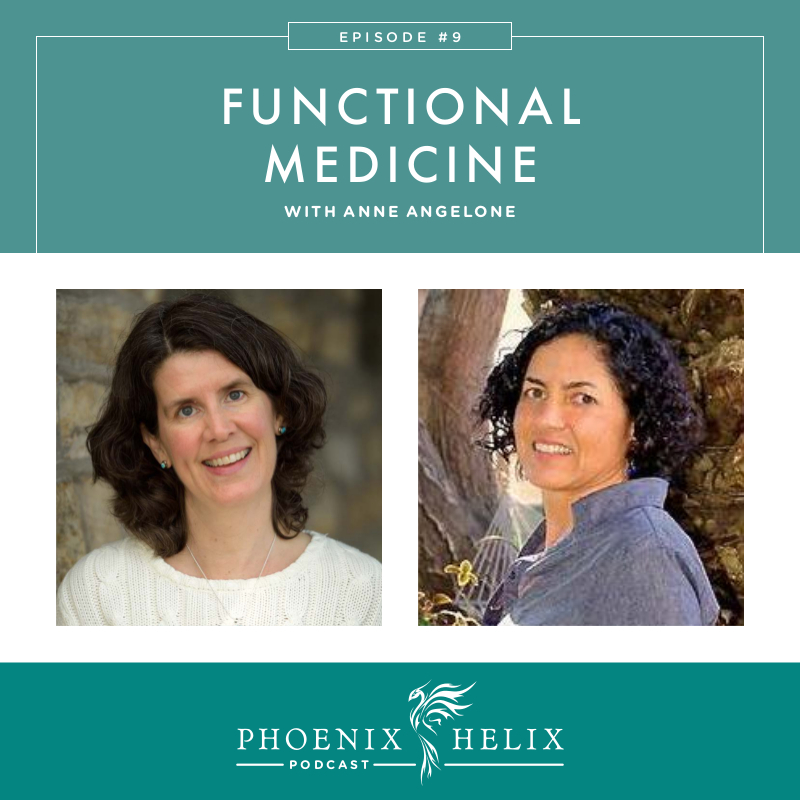 Anne Angelone is an acupuncturist, herbalist and functional medicine practitioner, specializing in reversing autoimmune disease. 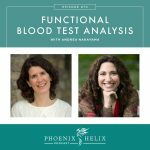 She walks us through how functional medicine works, which tests are most helpful, and which interventions she recommends. Anne also has ankylosing spondylitis and uveitis herself, which she has reversed through the paleo diet and lifestyle, along with functional medicine interventions. She’ll be sharing her healing story with us today. 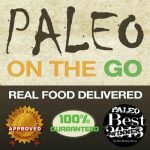 The paleo autoimmune blogger community has just published a cookbook called 85 Amazing AIP Breakfasts. We know a lot of people are starting the AIP as a New Year’s Resolution, and the most common question people ask is: “Without grains, eggs or dairy, what will I eat for breakfast?” We answered that question 85 delicious ways. I led the project and edited the cookbook. Everyone who contributed recipes has used the AIP themselves to improve their own health. There’s everything from an herbal coffee to grain-free cereals to pancakes in this cookbook. We want to make your transition to the AIP as easy as possible. Check it out here. Anne has a clinic-based practice in San Francisco and consults with patients worldwide via Skype. She’s also the author of a series of e-books called The Paleo Breakthrough Kit, which includes meal plans as well as an overview of the functional medicine approach. 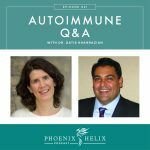 Anne has ankylosing spondylitis and uveitis herself, so she understands the autoimmune experience from the inside out. Her first symptoms appeared at age 12, and her prescription was to carry a baggie of aspirin with her wherever she went, taking 12 tablets per day. As an early adult, she found functional medicine, and started treating the cause instead of the symptoms. Today, so long as she sticks to her personalized autoimmune paleo template, and manages sleep and stress, she requires no pain medication. One of the ways Anne personalizes her diet is to avoid starch, because it can feed a bacteria specific to ankylosing spondyltitis that increases inflammation. Step 1: Detailed patient history and symptom assessment. Step 2: Gathering all tests and reports from other practitioners, conventional and alternative. Step 3: Talking with the patient about their own opinions and intuition on their obstacles to healing. Step 4: Applying training and experience to look at the holistic picture and see where to start personalized troubleshooting. (1) A basic blood chemistry panel can reveal a lot of helpful information. If you also add vitamin D, magnesium and ferritin, that's even better. (2) A comprehensive 3-day stool analysis. Anne recommends Doctors Data. You can order all of these tests yourself through Anne's website. Update: This class is no longer available. Patient #1 had rheumatoid arthritis. High doses of ibuprofen had led to a bleeding ulcer and anemia. Methotrexate left her feeling nauseous. Her doctor wanted her to try Enbrel next. That's when she contacted Anne. Anne put her on the paleo autoimmune protocol with a focus on nutrient density and omega 3 balance. She also did some basic testing which showed low vitamin D, low magnesium, and some imblanced gut flora, all of which she corrected through supplementation. Results for the patient were less stiffness, increased energy, elimination of brain fog, balanced hormones, and the ability to get off immunosuppressant medication. Patient # 2 had psoriatic arthritis and GERD and was on a number of medications including nexium, Lodine and Humira. Medication had relieved his morning pain/stiffness, but his skin wasn't improving, and he still had inflammation. Stool tests revealed an overabundance of yeast and h.pylori, combined with an undergrowth of beneficial bacteria. 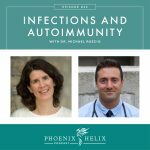 She prescribed GI synergy, an herbal botanical, to eradicate the pathogens, probiotics to increase his beneficial bacteria, and the paleo autoimmune protocol to reduce his inflammation overall. She also had him supplement with gelatin, high epa fish oil and vitamin D. Results were an 80% reduction in pain/inflammation, improved mobility, and a reduction in skin lesions. Visit Anne's website to schedule a consultation, or learn more about her books and other resources.